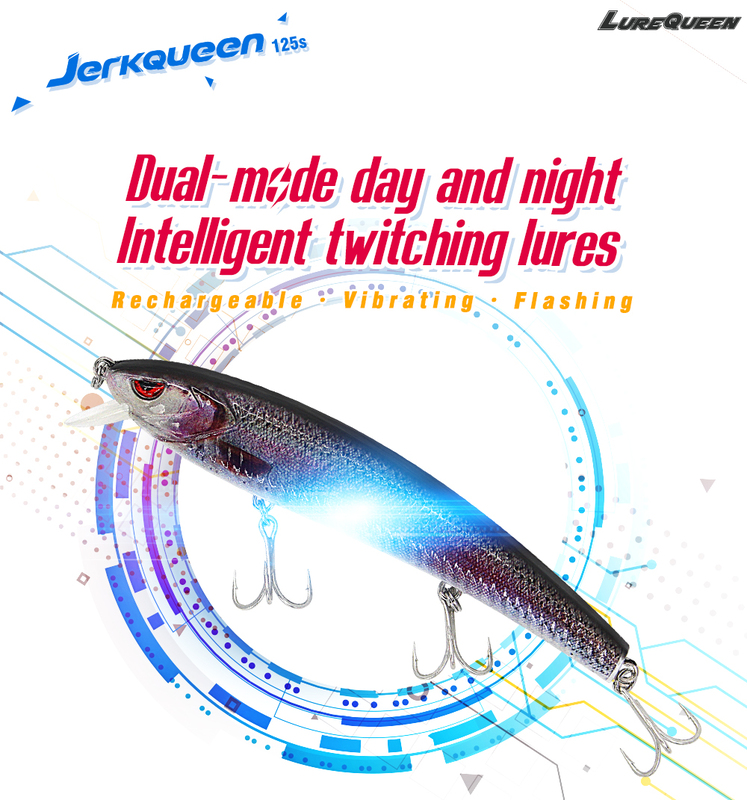 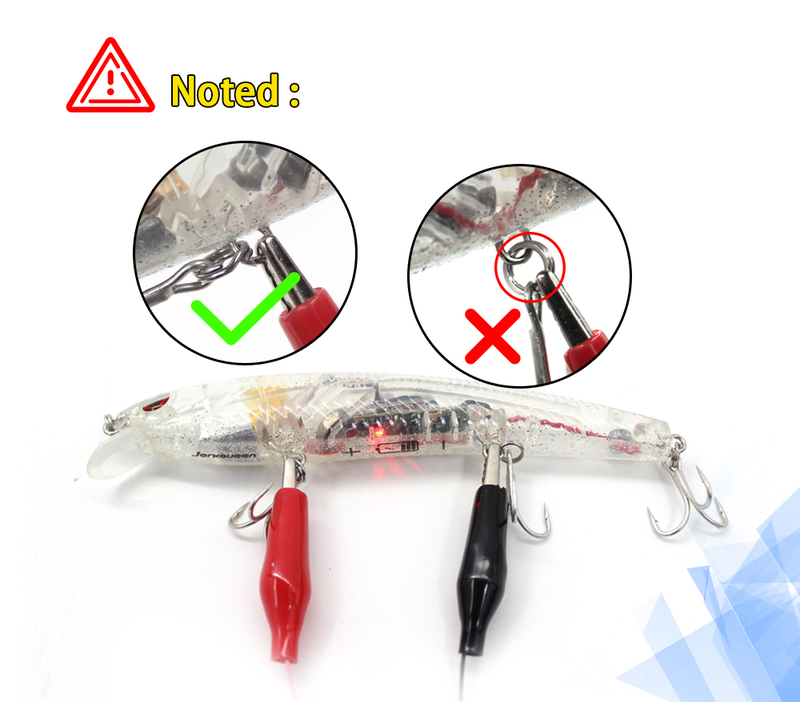 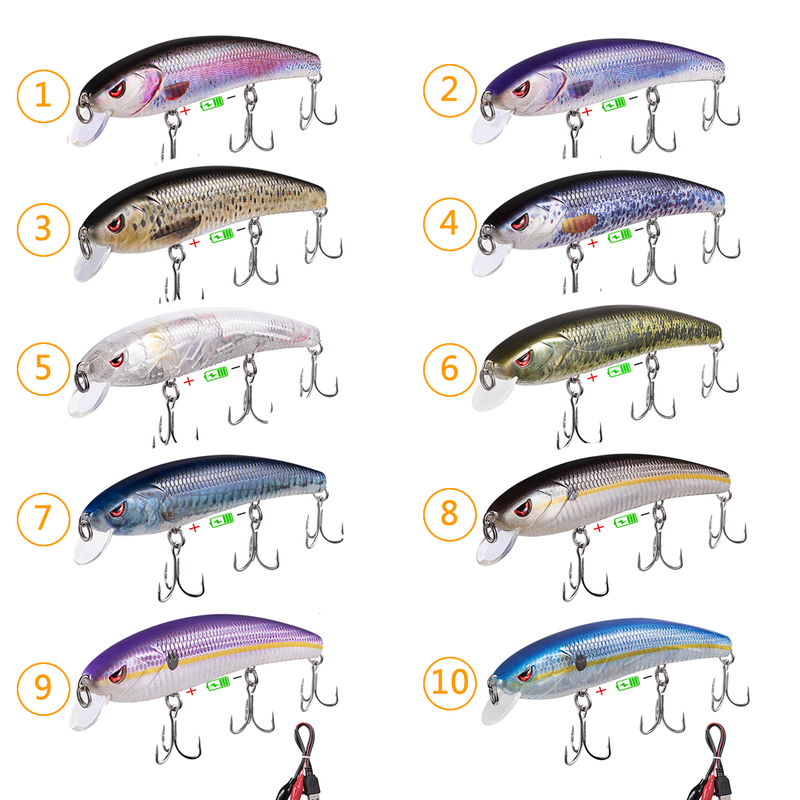 1.Dual-mode day and night intelligent patented twitching lures that fascinates pro staffs. 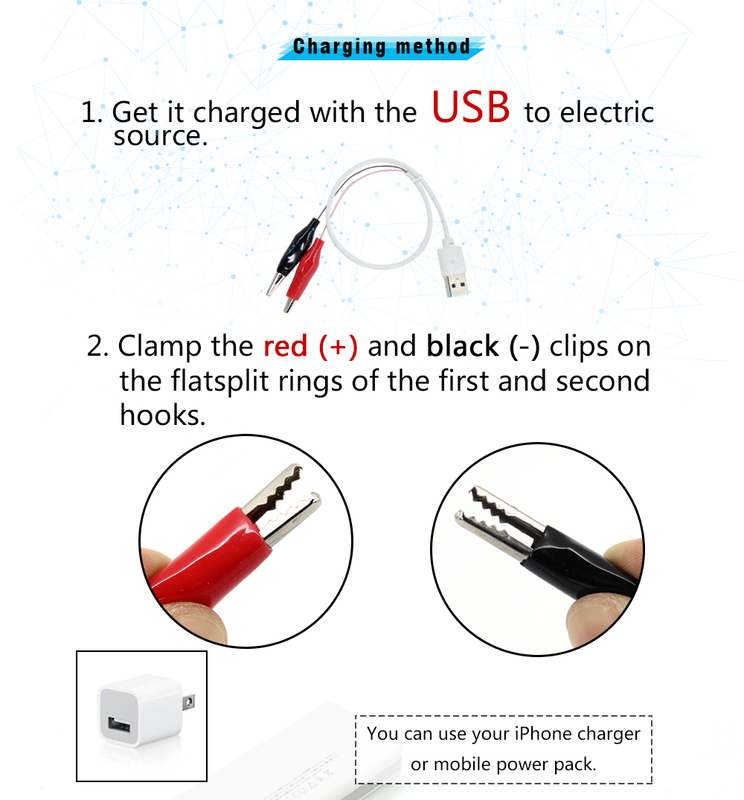 2.18 years OEM experience for famous brands. 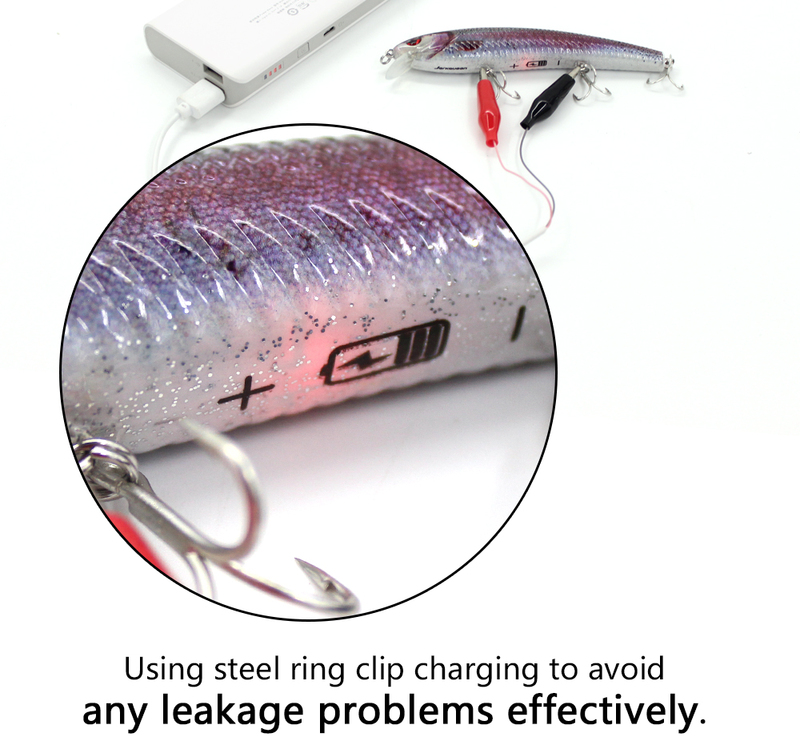 ODM experience ensures to bring superior design and high quality products to fishmen. 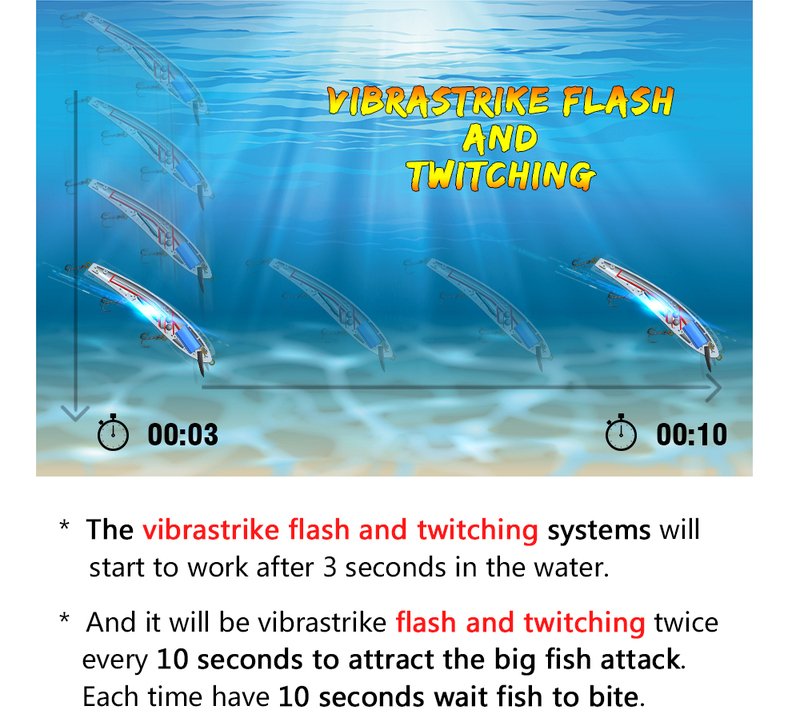 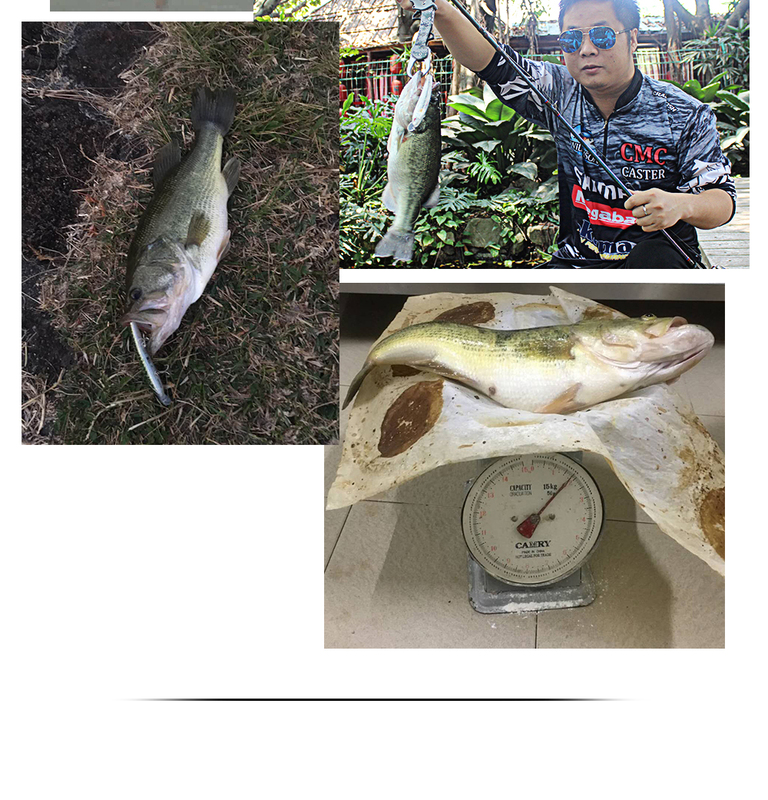 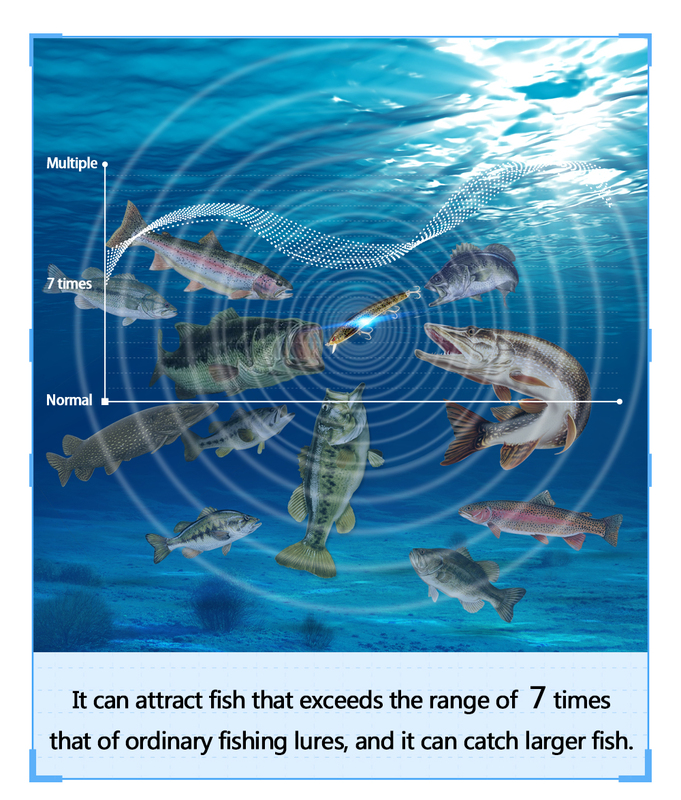 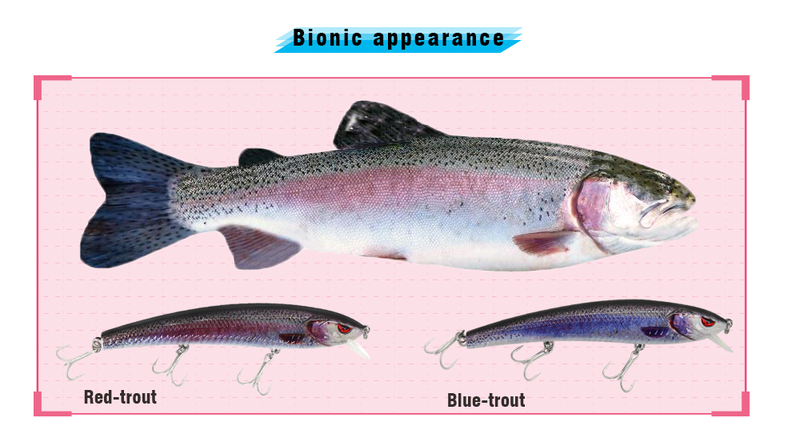 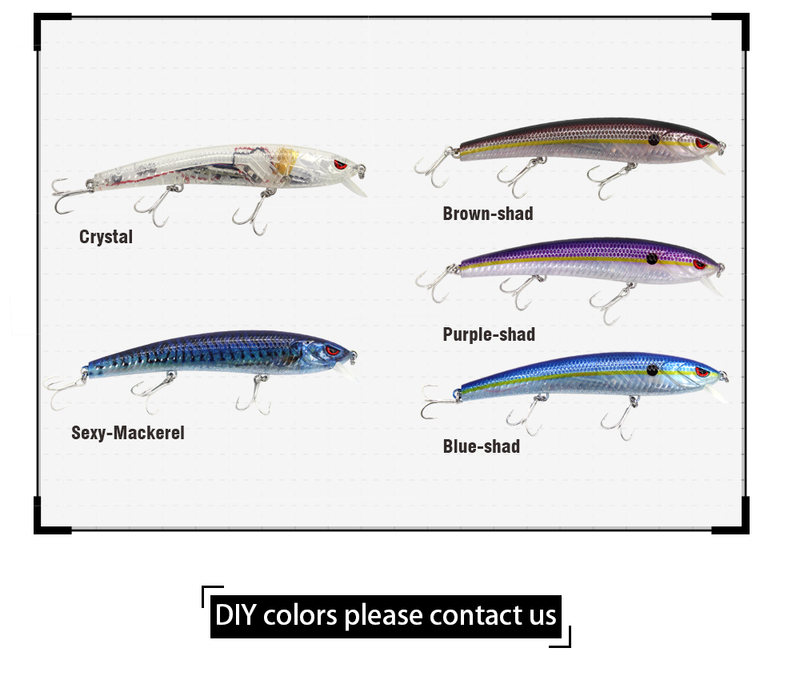 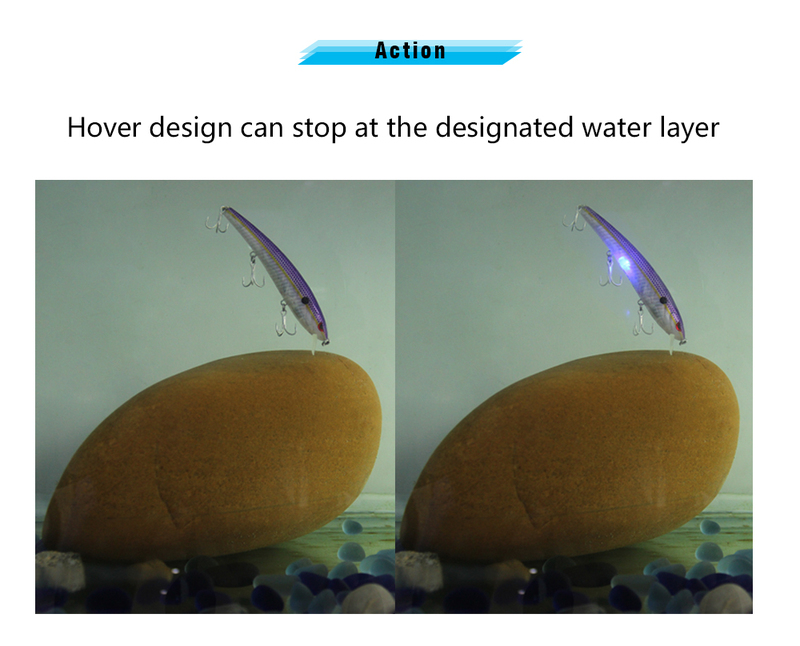 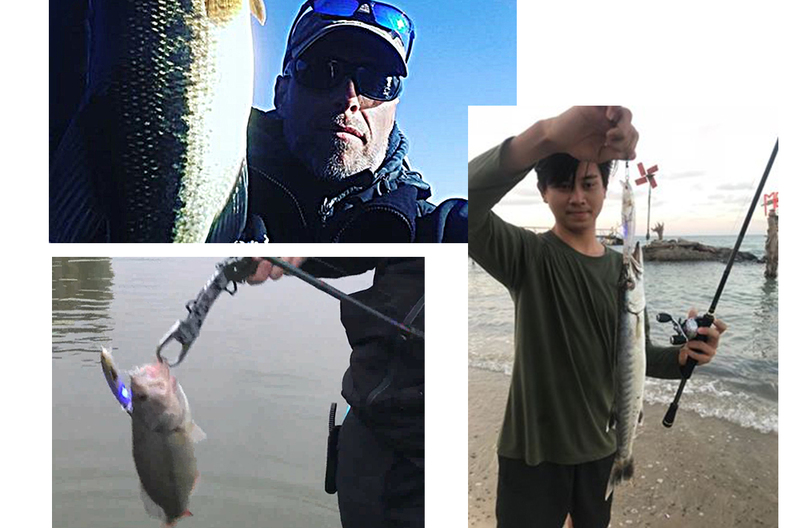 3.With the electric version: In addition to the excellent performance of ordinary lures, this patented luminous vibrating lure can easily catch fish with its bionics design. 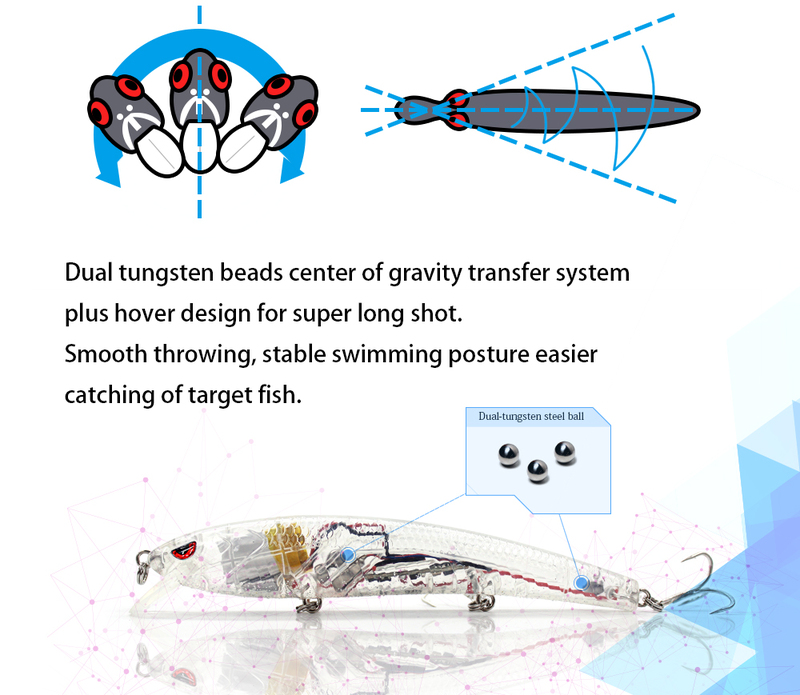 4.Without electricity: Dual tungsten beads center of gravity transfer system plus hover design for super long shot. 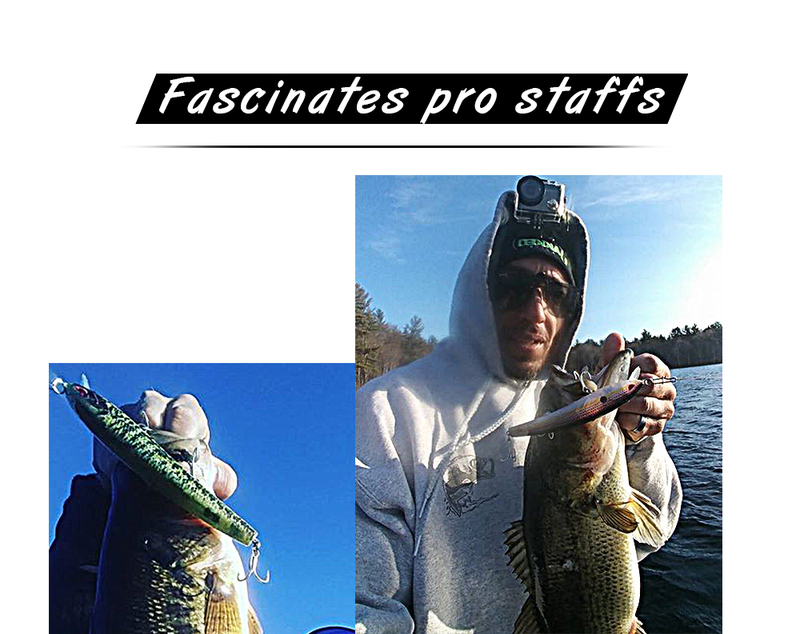 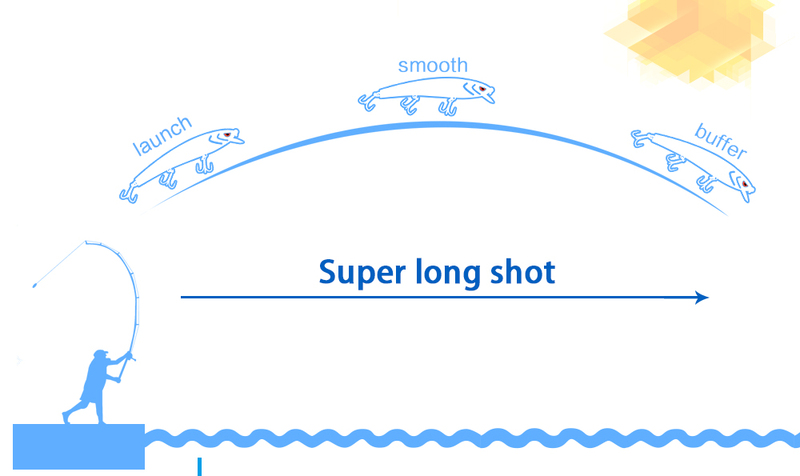 Smooth throwing, stable swimming posture, easier catching of target fish. 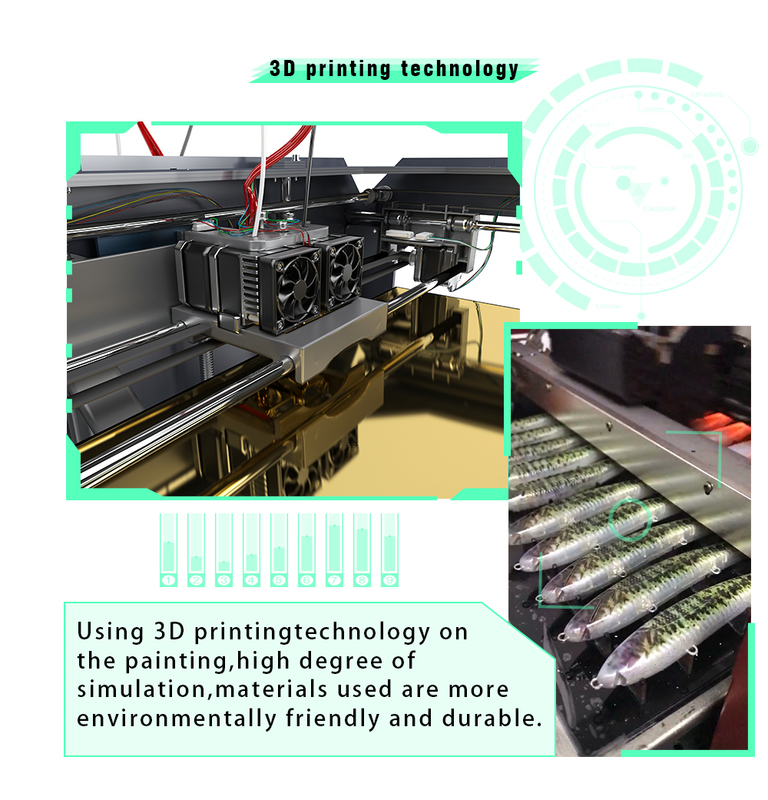 5.Using 3D printing technology on the painting, high degree of simulation, materials used are more environmentally friendly and durable . 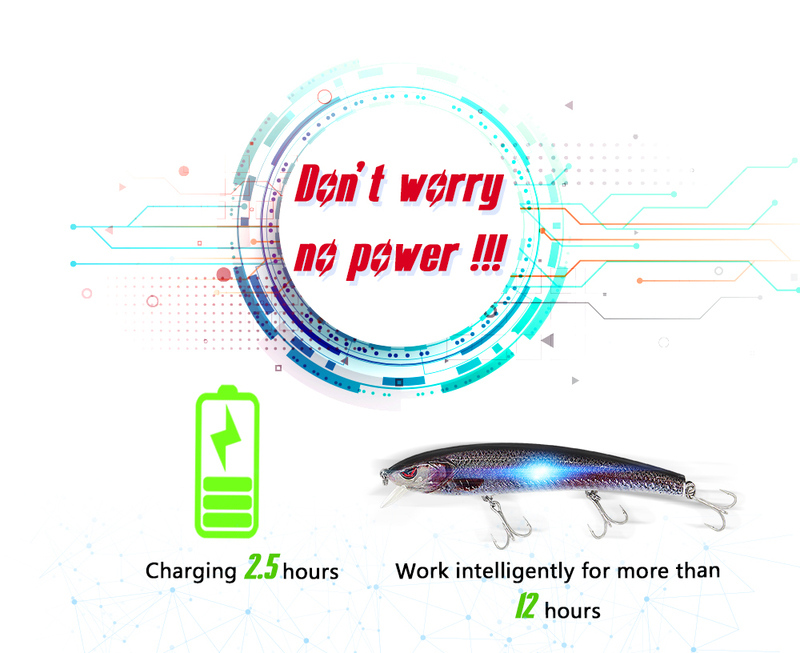 6.After charging for 2.5 hours, it can work intelligently for more than 12 hours, and achieve the working time of super-long working life. 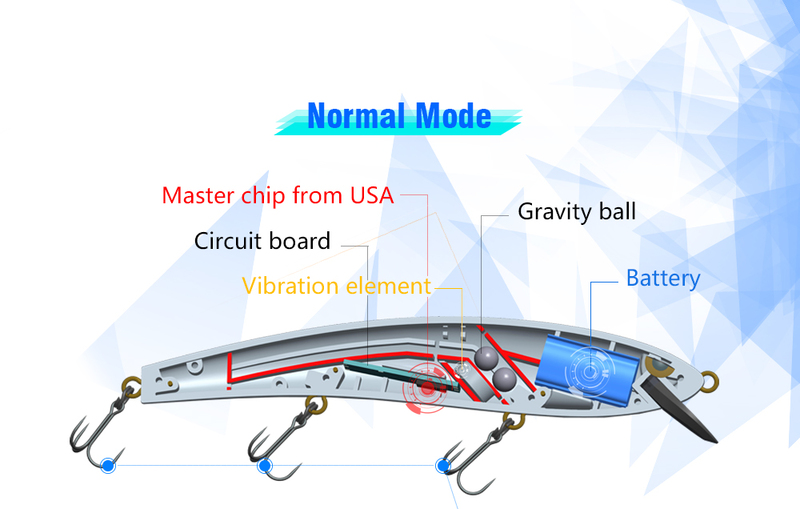 At the same time, it adopts clip-type charging method to solve the leakage problem of traditional charging lure and prolong the service life. 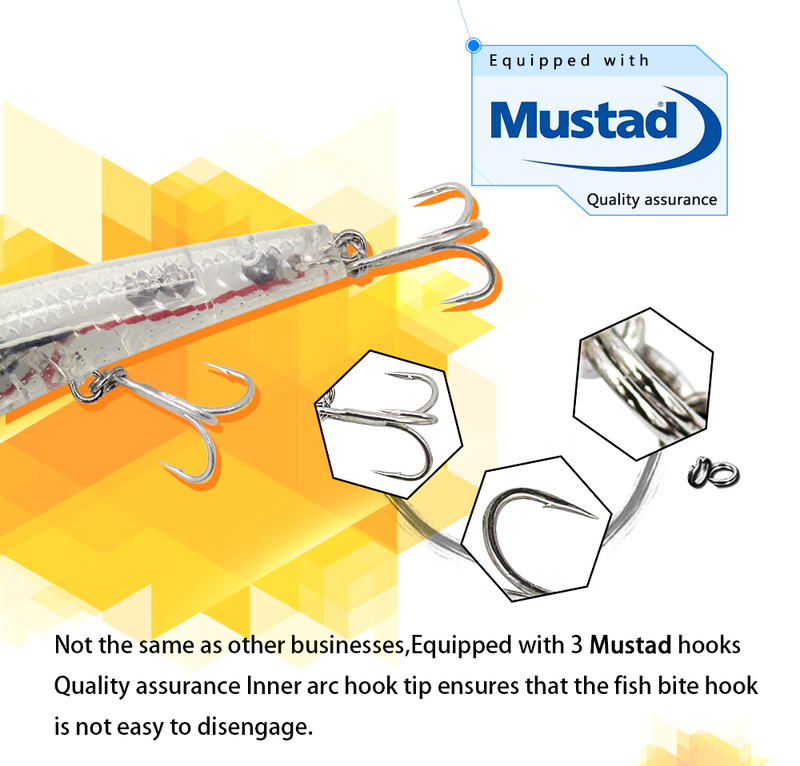 7.Mustad hook, Quality assurance. 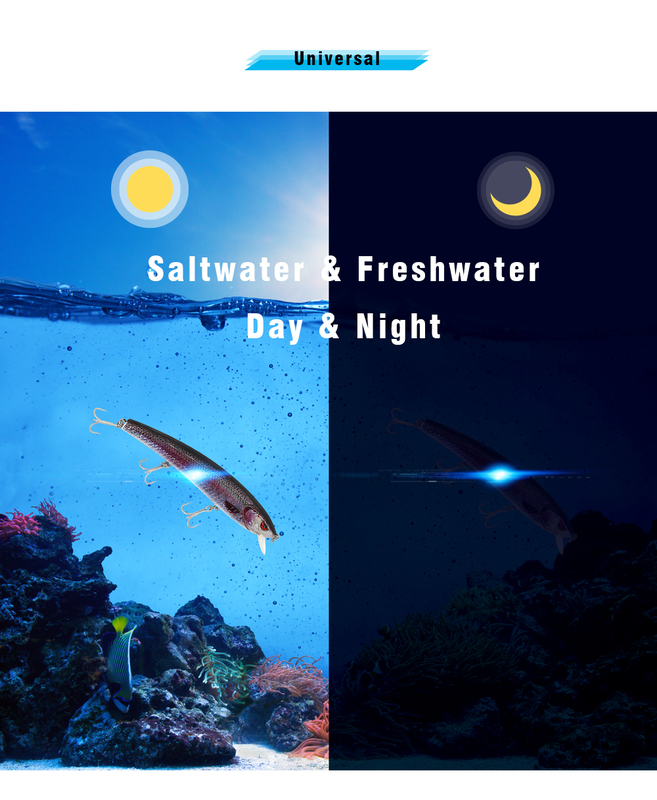 Suitable for salt water and fresh water,day and night . 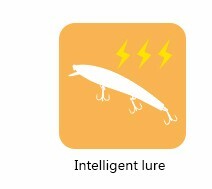 8.Strong competitiveness in quality, performance and profits for fishing tackle shops and dropshippers.